Four first-year Wilfrid Laurier University students have turned the dream of starting a rock band into reality. Band members Zemar Hakim (guitar), Braydon Kains (guitar, vocals), James Baker (bass) and Justin Smith (drums) met in Laurier’s music-oriented Residence Learning Community (RLC) on Laurier’s Waterloo campus where they formed the band Last Minute and held practice sessions in their residence. Jamming sessions in the RLC connect students from a range of academic programs. The members of Last Minute major in economics, computer science, history and film. 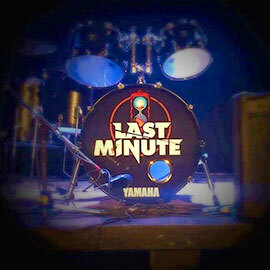 The band’s popularity has grown from entertaining members of the Laurier community to making an appearance on the local music scene in the Kitchener-Waterloo community. Last Minute was one of five bands that made it to the finals in Maxwell’s Battle for KOI competition. Despite not taking home the win, band members remain optimistic and appreciate the support from fans. Glen Carruthers, dean of Laurier’s Faculty of Music, proposed the creation of a Singer and Songwriter RLC a few years ago with an aim to bring together a diverse range of students who share a passion for music. RLCs connect students with mutual interests in thematic environments. Laurier has 11 RLCs for the 2016-17 academic year, ranging from Criminology and the Lazaridis School of Business and Economics to themes such as Singer and Songwriter and Outdoor Adventure. Although the band members will be living off campus in their second year, the band has plans to keep rockin’.